OMOTOSHO is a man of many faces. He is a thoroughly schooled Pharmacist, a politician of no mean repute, an astute businessman and to cap it all, a man of the people. Like many in the world today, he was never born with a silver spoon in his mouth. The frugal talking Mike Omotosho, however, determined to have formal education. He graduated from the prestigious Ahmadu Bello University,Zaria in the year 1991. To him, the difference between success and failure is commitment. He went on to acquire post graduate Diploma in Management from The University of Lagos, and a PGD in Veterinary Pharmacy from Harper Adams University College, Shorpshire, UK in 2005. Dr. Mike has a Masters certificate in Supply Chain Management from University of San Francisco, Certificate in Medicine Information from University of Cape Town, South Africa, and an MBA from Business School Netherlands. He bagged his Ph.D in Professional Ethics from Trinity College Seychelles in Year 2013. He is a product of Harvard Business School, Boston, USA in the High Potential Leadership Programme. This thus bears eloquent testimony to his academic brilliance. 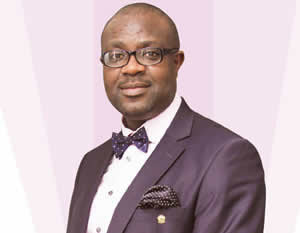 Mike Omotosho had a stint with Pfizer, Lagos as an Intern Pharmacist between 1991 and 1992. He worked as a Consultant Pharmacist in Mobil Oil, Lagos from 1993 to 1996, and Registration Pharmacist in Reckitt & Coleman, Lagos between 1996 and 1998. Mike was a Managing Partner at Psy-khe from 1998 to 2007, before moving to CHAN Medi-Pharm as Head of Programmes & Advocacy The simple but detailed man who has today, become an issue in Kwara politics, founded Sustainable Health Initiative (SHI Logistics) in 2010 to strengthen mechanism for the promotion of sustainable healthcare delivery in Nigeria. He is also the Chief Oversight Officer of SHI Foundation with Global Fund, USAID, and Society for Family Health etc as partners He is a member of several professional bodies and associations including Pharmaceutical Society of Nigeria, Chartered Institute of Purchasing & Supply, Project Management Institute (Lagos & San Francisco Chapters), Nigerian Institute of Management, Nigerian Institute of Public Management, Association of Operations Management, American Association of Healthcare Executives, Harvard University Healthcare Club, Cranfield University Procurement Leaders Fellowship, Board of Pharmaceutical Sciences, Toastmasters International, and Rotary International. The SHI Foundation has helped to improve healthcare delivery in Nigeria and significantly contributed to reducing the prevalence of malaria, pneumonia, tuberculosis, HIV/AIDS and other diseases around the country, with over 2,500,000 people so far benefitting from the Foundation’s programmes since its establishment. He also set up Mike Omotosho Foundation to alleviate poverty and empower the youths through training and community development programmes.